This is a great project for those keepsake sweaters you have buried deep in your closet. This particular sweater belonged to my late grandfather. I usually just wear it around the house but even still its a little too chunky and I’m constantly fighting with the sleeves. I wanted to do something that would make it a little easier to wear. 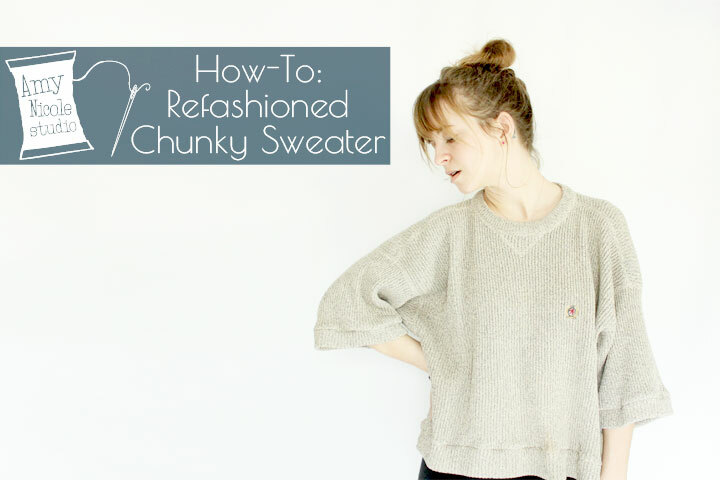 Read on to see the full steps on how to transform an old cozy vintage sweater to a cropped swingy sweater.